These fasteners are common to BeechCraft airplanes and latches on some Piper cowlings along with other industry uses. The design consists of a simple stud, with a cross pin pressed into the shank. The pin must be pressed in after the stud is inserted through the panel hole and removed from the stud prior to removing the fastener from the panel. Most applications use a flare type grommet in the hole to protect it from wear due to vibration. 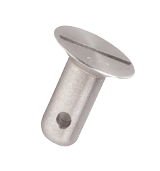 Unlike other fastener styles, this grommet may not require replacement when installing new studs. However, we do carry new grommets in the event that replacement is required. The stud's head diameter determines the stud series. 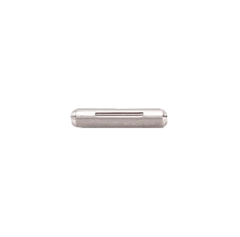 Each stud series is available in either a countersunk (flush) or a round head style. Stud diameters and head styles are specified in the Base Part Number. Studs come in different Total Lengths (blank lengths) which are indicated by the first dash number. The second dash number denotes the maximum total material thickness (TMT, grip length) the stud can accommodate in thousandths of an inch. Each stud blank length can have up to ten (10) second dash numbers, or grip sizes. These dash numbers are stamped in the head of the stud for easy reference. 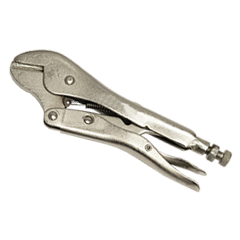 A-Spec fasteners have the least grip range between sizes of any quick release fastener (0.010"). Therefore, it is important to measure accurately when using them. * Each new stud will require a new cross pin and maybe a new grommet. So be sure to add them before checking out, and don't forget about the installation tools. We keep all of these items in stock to make your project go smoothly. If you have any questions or need additional information, please Contact Us. New cross pins are required when installing new studs. They are press fit and installed with tool number MS-ALPT. 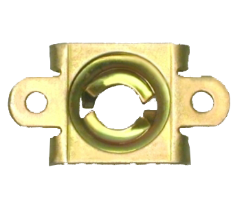 New grommets are not always necessary when replacing studs but, we recommend them as a preventative measure against panel hole enlargement due to vibration. 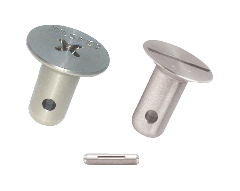 Tools for installing cross pins and flaring A-Spec (Airloc®) grommets. 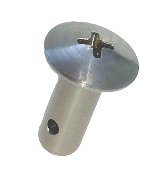 Stamped steel type receptacles for #2 and #5 series A-Spec (Airloc®) fasteners.